We are a full digital marketing agency based in Dublin, Ireland who believe in knowing you and your business goals better to walk together the way to success. We specialise in SEO and Adwords that combined together can be a killing combination to obtain your results. We base our decisions in data and have an Inbound approach which focus on attracting clients through interactions that are relevant and helpful and not intrusive. As users spend more of their time and money online, investment in Digital Marketing is now essential. Digital Marketing is a low cost business solution when compared to traditional marketing, making it accessible to anyone looking for an edge in the increasingly competitive online world. 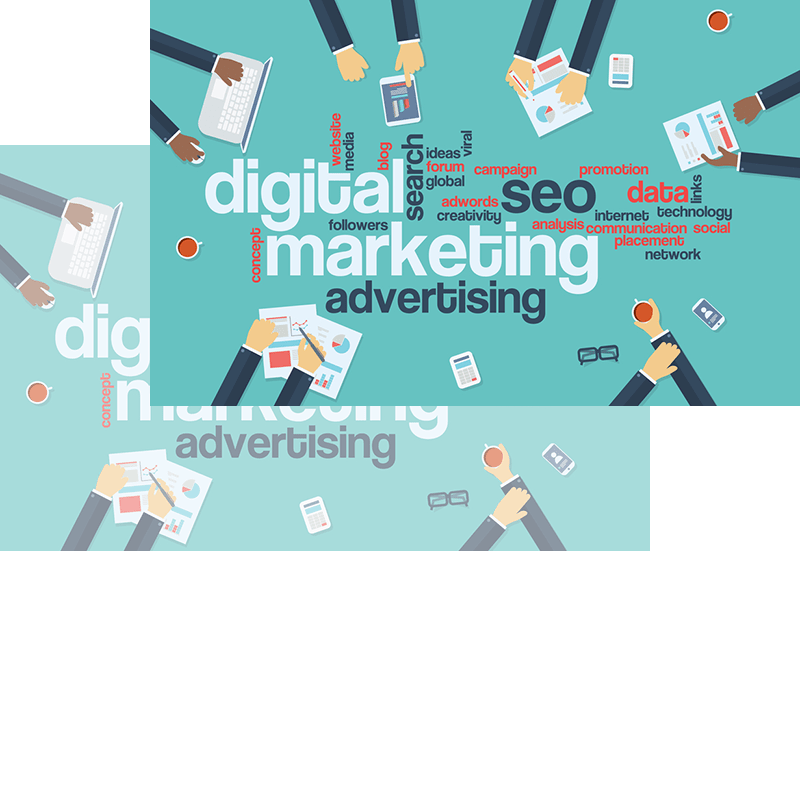 As Digital Marketing Agency we keep up to date with the latest changes on the digital landscape such as search engines algorithms changes, social media news and latest research and statistics, to give you an outstanding service. In our Digital Marketing Agency, we love SEO. By optimising your website for Search Engines we ensure that our clients are easily reached by their target audience. SEO also helps to increase qualified traffic, consequently obtaining more leads and at a lower cost than other marketing disciplines. From the outset, we believe in working alongside you, our client, to understand your business objectives, your target audience, and your competitors. Only then can we begin to put a personalised plan in place that will set your business on the road to online success. An SEO Audit is fundamental to understanding the health of the site and enables us to then take further actions to rank higher in Search Engine Results. Every website is different so only when we have the appropriate information can we start implementing the perfect optimisation. Moreover, we will help you create links that point to your site. A continuous measurement plan is put in place to routinely optimise your website presence. Regular updates and reports are created to keep you informed of progress. Start Increasing Leads and Sales! To enable the ideal traffic to rapidly reach your website, we also offer PPC (Pay-Per-Click) services. We will work to ensure that your ads are shown to the relevant audience, to decrease the cost per acquisition, to increase the quality score and subsequently to increase your results. Upon understanding your key requirements, we will either create a new account or analyse your existing account. Choosing the correct keywords and ad copy, changing bids and budgets, or managing campaigns and ad groups will be some of the key points of our implementation stage. A continuous measurement plan is put in place to routinely optimise your campaign results. Regular updates and reports are created to keep you informed of progress. As a full digital marketing agency, we offer as well web design and development, and graphic design, that allow us to create specific landing pages for your PPC campaigns. Social Media platforms allow you to build relationships with your target audience, increasing loyalty and generating more leads. We are a Digital Marketing Agency specialising in SEO and Adwords, and currently don’t offer Social Media management services. However, we can offer consultancy services advising you on the best Social Media and Content Strategy to take for your business.